Jason Rezaian, the Tehran bureau chief for The Washington Post, has been behind bars in Iran since July 2014. On January 16, American and Iranian officials confirmed that Rezaian would be released in a prisoner exchange deal. Rezaian's release comes after months of petitioning by U.S. government officals, journalists and media advocacy groups. Washington Post publisher Frederick Ryan said in a statement that they "couldn't be happier to hear the news" that he would be freed from Evin Prison. Before it was confirmed, Rezaian's brother, Ali, tweeted that "we all hope it is true." Rezaian was charged with espionage and sentenced to prison on November 22. It was unclear how long his sentence would be, but reports suggested he was facing up to 20 years. July 22: Rezaian and his wife, Yeganeh Salehi, are taken into custody in Tehran. July 24: The Post issues a statement. Rezaian is described as "an experienced, knowledgeable reporter who deserves protection and whose work merits respect." August 6: CNN's Anthony Bourdain, who had interviewed Rezaian and Salehi for "Parts Unknown" weeks before their arrests, says they are "nobody's enemy." September 18: The United Nations Secretary-General Ban Ki-moon raises concerns about the case in a meeting with Iranian officials. October 6: Salehi is released on bail while Rezaian remains behind bars. November 27: Rezaian is allowed to call his mother, Mary, for the first time, on Thanksgiving Day, but the conversation is brief. December 6: Rezaian attends a court session and signs a document to acknowledge that he is being charged. But the charges remain unspecified. December 7: U.S. Secretary of State John Kerry says he is "dismayed" and "deeply disappointed" by Iran's handling of the journalist. December 14: Rezaian's brother Ali pleads for his release. Addressing the Iranian authorities directly, he says, "Please, just let him come home and be with us. It's the holidays, and we all just want to be together." December 25: Mary Rezaian visits her son in jail on Christmas Day. February 13: Mary Rezaian makes a personal appeal for her son's release. March 12: Boxing great Muhammad Ali appeals to Iran to free Rezaian and provide full access to a lawyer. April 12: Iranian officials indicate that the charges against Rezaian include espionage. The Post says that "any charges of that sort would be absurd, the product of fertile and twisted imaginations." April 14: The Post's top editor Marty Baron says Iran's treatment of Rezaian is "simply appalling." 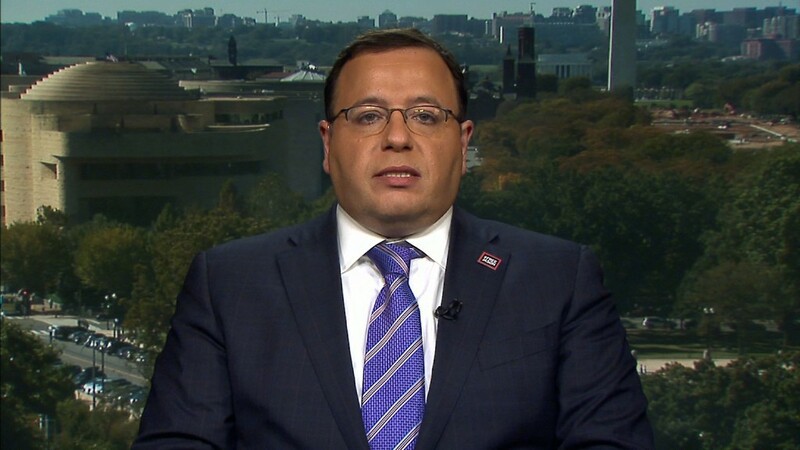 April 20: Rezaian has a meeting with the lawyer assigned to defend him. The Post says "it is absurd and despicable to assert" that his work "amounted to espionage or otherwise posed any threat to Iranian national security." April 29: The Iranian Foreign Minister Mohammad Zarif says he hopes Rezaian will be cleared of the charges he faces, but "he will have to face a court." May 19: Iran sets a court date for Rezaian's trial. May 26: The trial begins. Rezaian's family members are not allowed to observe the proceedings. July 13: The trial resumes for a third time. According to Ali Rezaian, the defense lawyer in the case is "barred from discussing the court proceedings." July 15: After President Obama strikes a historic nuclear accord with Iran, a CBS News reporter suggests the president is "content" to leave Rezaian and other Americans held in Iran "unaccounted for." Obama bristles at the question and says his administration is "working diligently to try to get them out." July 21: The president cites Rezaian by name in a speech and says "we are not going to relent until we bring home our Americans who are unjustly detained in Iran." July 22: The Post petitions the United Nations' working group on arbitrary detention in hopes of securing Rezaian's release. August 10: A final hearing is held in Rezaian's trial. "It remains unclear even to Jason's lawyer what might happen next," Baron said afterward. September 27: Iranian President Hassan Rouhani asserts that if the U.S. releases Iranians it is holding, Iran would "do everything in our power and our purview to bring about the swiftest freedom for the Americans." October 9: The Post highlights the fact that Razaian has been "held for the same amount of time as U.S. government employees during the Iran hostage crisis of 1979-1981, a milestone significant in its injustice." October 11: Mysterious announcement is made by an Iranian judiciary spokesman about the existence of a verdict in the trial, but the verdict is not described. October 12: Iranian state-run media reports that Rezaian was found guilty. Washington Post editor Baron calls verdict "an outrageous injustice." November 22: Semiofficial state news agency Tasnim sentences Rezaian to prison but doesn't say for how long. January 16: American and Iranian officials confirm that Rezaian will be released on Saturday as part of a prisoner swap deal after 18 months in prison.